Here’s the last of the Barry Spicer’s current series of ink drawings commemorating the Battle of Britain. 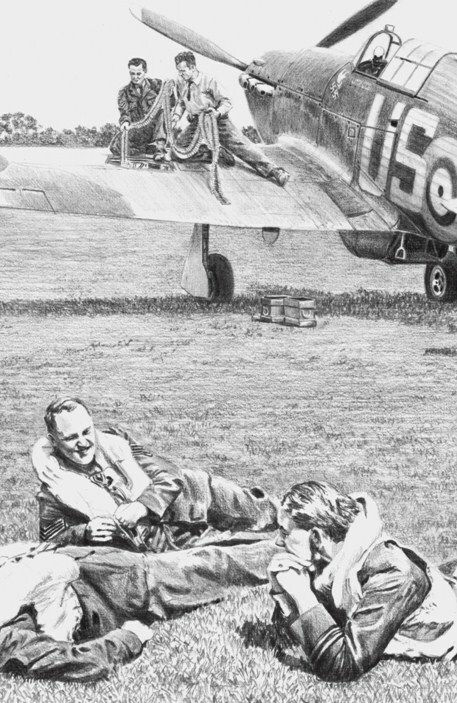 Barry is an acclaimed aviation artist living in Adelaide, Australia, who turned his childhood fascination of the “Battle of Britain” film into a lifetime passion and profession. This recent work is entitled “56 SQN. Pilots at Readiness” and, as they say, the title says it all. No. 56 Squadron first saw action during the Battle of France, although they remained based in England and sent flights to France for short periods. By the end of the campaign, they covered the Dunkirk evacuation. As part of No. 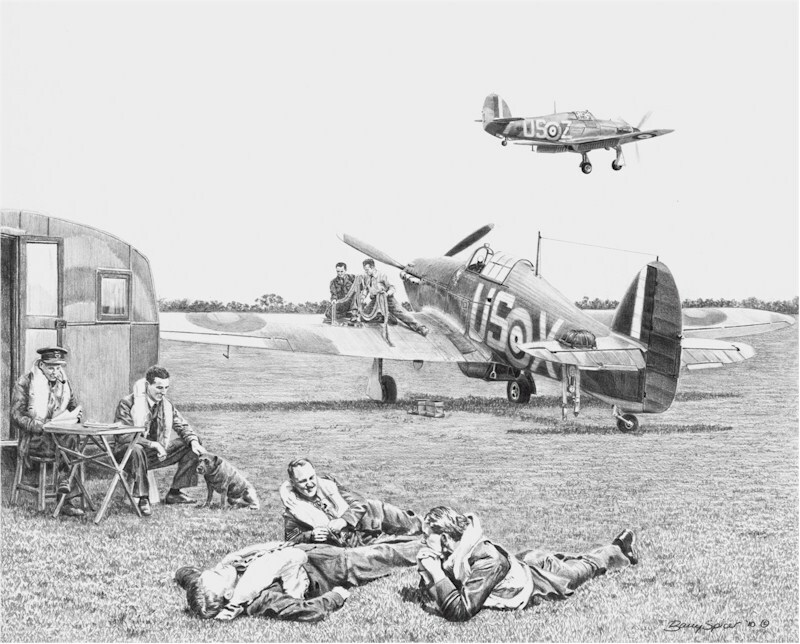 11 Group RAF, the squadron was based at North Weald, when the squadron first engaged German aircraft on 31 July 1940. It was heavily involved in the fighting in the south of England during August, although the squadron moved to Boscombe Down at the beginning of September. It was one of the few fighter squadrons to remain based in the south of England continuously through the battle.